University is a wonderful time in the life of anyone lucky enough to attend. At this time, the world begins to open up to possibility. You are going to meet new like-minded people, learn a wealth of interesting facts and take one of life’s greatest adventures. Where will this journey take you? And equally importantly, how will you get there? One way to navigate this road is with a TATA Bolt. From safety to convenience and more, there are numerous reasons why the Bolt is the perfect choice for student life. Keeping yourself safe on the road is ALWAYS paramount – no matter who you are, your age or your destination. Student life means plenty of hard work, but student life is also about having adventures and making memories that’ll last you a lifetime. That’s why having a reliable car with all the lifesaving safety features is so important. Equipped with the Harman Infotainment System for complete control, the Bolt will keep you safe using a rear-view and wide-angle camera, VR modelling mode and Surround View to monitor blind spots. Not only does having your own ride offer convenience in terms of getting around but with a TATA Bolt you know you’ll have the added benefit of space. This means that you and your friends can leave campus for lunch with all your bags and backpacks in the boot. The added space also comes in handy is you are off to study something creative, when you will often find yourself moving supplies and/or large projects. To put it simply, the TATA bolt is the pinnacle of modern style – and there is nothing better than turning heads as you arrive on campus for you first day. The chic Java Black interiors boast dimmable lamps, chrome finishes, and full fabric seat upholstery, while the exterior has a sporty look and features a humanity line, flame-shaped tail lamps. 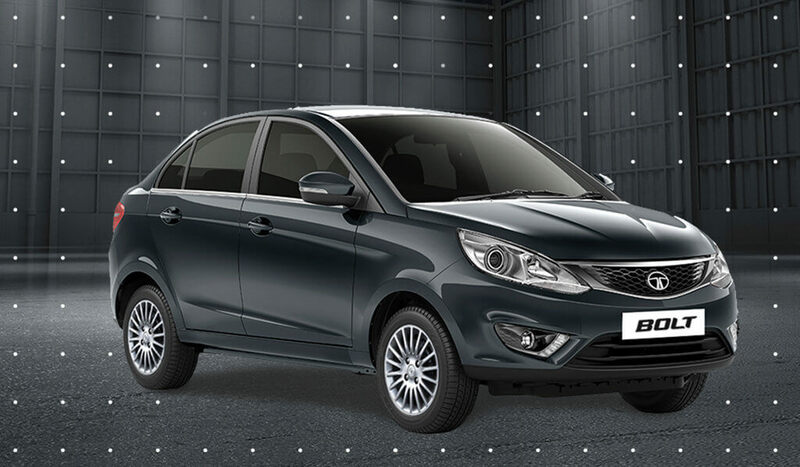 Comfort is key to a smooth driving experience and the TATA Bolt offers comfort in spades. Fully air-conditioned with power windows, the Bolt includes everything from central locking to automatic temperature control for a comfortable ride to and from campus.